I want to share a product that I just discovered recently, I know this is a popular product on beauty channels for quite a while now but it's something that I decided to try and see if it's worth the hype. And my verdict is .... I am currently obsessed with this product! This has 5 different shades of pink which creates a rosy, peachy sheen when mix together with a blush brush or a contour brush. 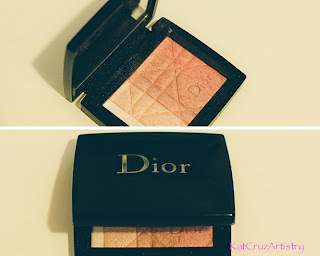 I use it as a highlighter which I apply the 3 lighter shades on my cheekbone, under my brow bone and on my cupid's bow. I also use it as a blush and sometimes as an eyeshadow using the 2 mid-toned shades. The formula is really good, it transfers well but it's not too shimmery that you'll look like a disco ball once applied. The texture is smooth and soft and it's easy to blend. If you have the budget to splurge on this product either to experiment or to use it as an everyday type of thing then I say it's worth every penny.